With modern dentistry, you can have the smile of your dream! See video testimonials and learn more about our cosmetic treatments. Free Sedation for all your dental needs. Get your dentistry done the easy way! See video testimonials and learn more about how Sedation Dentistry can help. Welcome to Lasting Smiles, Exceptional Dental Care from your Las Vegas Dentist! Here at Lasting Smiles, when we say “dental care”, we mean quality that lasts a lifetime. We are your top Las Vegas dentists specializing in providing our patients with individualized dental care combined with the application of modern techniques in the field of dentistry. 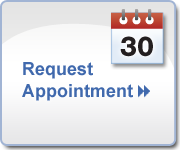 We do this under the goal of providing you with long-term dental solutions and smiles that will never fade. We understand that patients have distinct needs and requirements, not to mention the different levels of anxiety they have. Guided by this idea, our team at Lasting Smiles in offers a variety of dental treatments and procedures especially designed for our valuable Las Vegas clients. Our experienced and reliable dentist in Las Vegas, Dr. Sharam Ghodsi, offers different general and cosmetic procedures. The key to an improved smile is getting rid of the little flaws on your teeth. Be it discoloration or misalignment, we can offer just the right service to make your pearly whites better. Our teeth whitening treatment and Invisalign are two popular options we have for you. We also have Smile Analysis, a comprehensive evaluation of your tooth shade, discoloration, spaces, and other unsightly defects. Get treatment that is painless! We understand that every person have a reason or two that make them less than confident when visiting a dentist. Some have anxieties or extreme fear of dental treatments and procedures. Lasting Smiles uses sedation dentistry to solve these issues. We provide our patients with different sedation options as response to the different levels of anxieties. From simple bonding procedures to comprehensive smile makeovers, all you need to do is give us a call and set a consultation at our lovely Summerlin dental office. Dr. Ghodsi is the Las Vegas dentist you can trust.